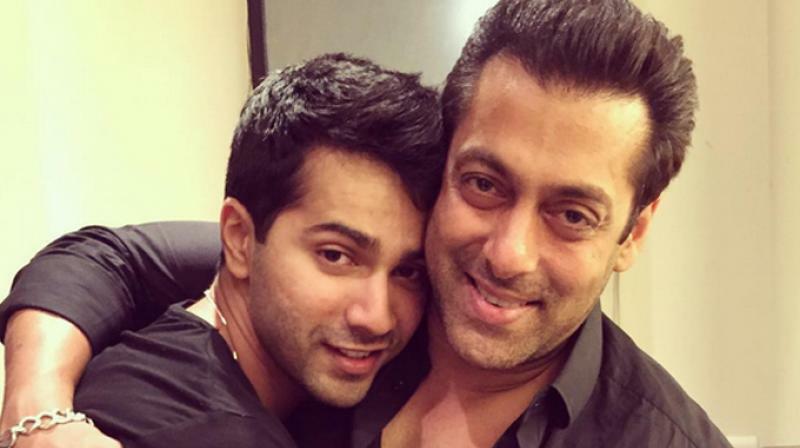 Salman Khan Is The Reason Behind Varun Dhawan’s Glowing Skin! What Is Their Secret? It’s a known fact that Salman Khan has mentored many Bollywood actors before they made their debut, Arjun Kapoor, Varun Dhawan, Sooraj Pancholi, Aayush Sharma and Zaheer Iqbal are a few names in the list. While Aayush, Zaheer and Sooraj are newcomers Arjun and Varun have made a place for themselves in the industry. Varun is currently promoting his upcoming film Kalank. Recently he graced Kapil Sharma Show with his presence along with Alia Bhatt, Sonakshi Sinha and Aditya Kapoor. It is very obvious that they had a gala time and it was a fun filled episode. During one of the segments, Kapil happened to ask the Kalank team the secret to their glowing skin. Alia revealed that she eats a lot of green vegetables, whereas Varun stated the secret to his glowing skin is Salman Khan. Well, now that we know their secret, we are going to use that too! Everyday!